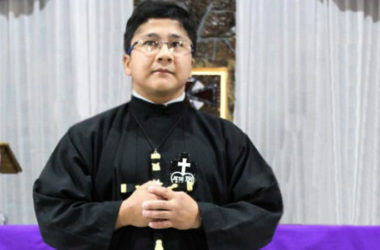 On 5 January 2019, in the church of the Immaculate Conception (Adimalathura, Kerala, India) Fr. Jerald Varghese and Fr. 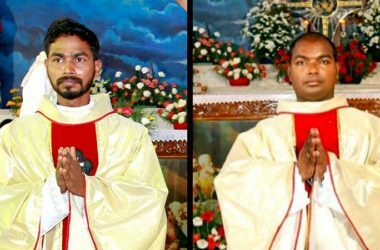 Muthappan Silvadhasan were ordained priests by the imposition of hands of the auxiliary bishop of Trivandrum, Bishop R. Christudhas. Photo (L-R): Jerald Varghese, Muthappan Silvadhasan. 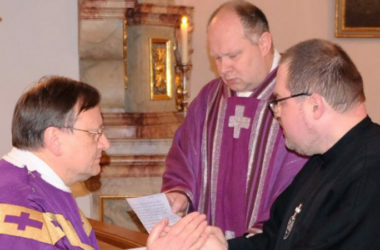 On 03 January 2019, in the Basilica of Sts. John and Paul (Rome, Italy) Fr. 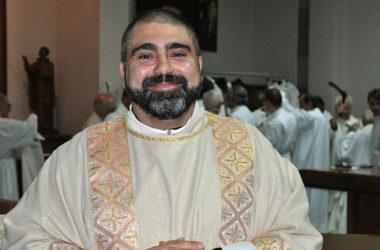 Giovanni Benenati was ordained by the imposition of hands of the auxiliary bishop of Rome, Gianrico Ruzza. On 29 December 2018, in the parish church of “Maria SS. Assunta” in Trepuzzi (Italy) Fr. Marino Longo was ordained by the imposition of hands of the Archbishop of Lecce, Michele Seccia. 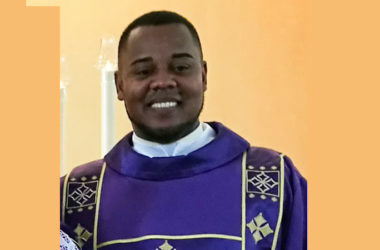 On 23 December 2018, in the parish of “Nuestra Señora de Suyapa” (Las Vegas Santa Bárbara, Honduras) Roberto Mejía Altamirano of the SCOR Province (Spain-Latin America) professed Perpetual Vows. 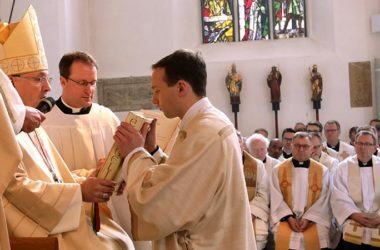 On 08 December 2018, in the diocese of Regensburg (Ratisbona), Germany, Dominikus Hartmann of the VULN Vice Province of Germany/Austria, was ordained a deacon. 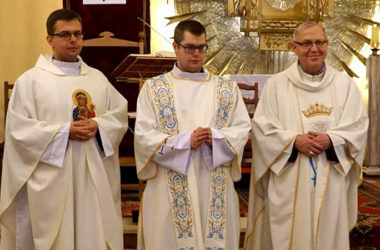 On 08 December 2018, in the monastery church of the Passionist community of Przasnysz (Poland), Grzegorz Mossakowski was ordained a deacon. 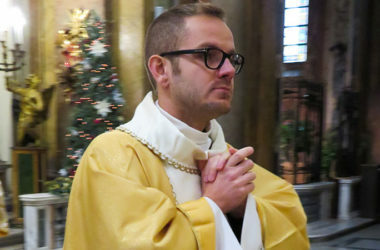 On 02 December 2018, in the monastery church of the community of Schwarzenfeld (Bavaria, Germany) Pius Görres of the VULN Vice Province (Germany, Austria) professed Perpetual Vows. 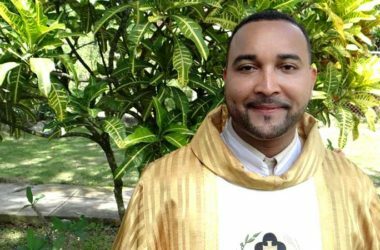 On 02 December 2018, at the Shrine of St. Paul of the Cross in Belo Horizonte, Brazil, Sandoval Dias de Jesus was ordained a deacon. 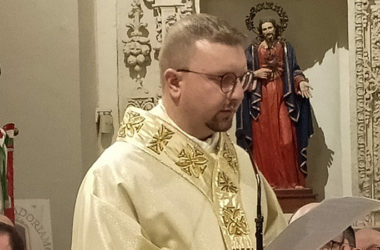 On 31 October 2018, at the Shrine of St. Gabriel of the Sorrowful Virgin (Teramo, Italy) Alberto Soricelli of the MAPRAES Province (Italy, France and Portugal) was ordained a deacon.